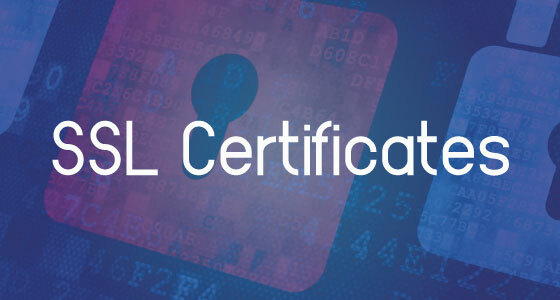 We have Variety of SSL Certs for Your Needs. You can now Compare our Certificates to other SSL Certificate Providers. Erica hosting Services SSL streamlines the procurement and management of multiple SSL server certificates, including EV SSL Certificates, for leading web properties Today's online shoppers are savvy about online security. Before completing a transaction or sharing personal information with you, online visitors need to know that your website can be trusted. Secure Socket Layer (SSL) Certificates provide a visual indicator that your website is legitimate and secure.When choosing an SSL Certificate, consider the brand recognition, turn-around time and investment cost that is right for your business. Comodo is one of the most recognized brands in online security, offering flexible and affordable certificate options that fit a wide range of needs. From the cost-effective Comodo Essential certificate to Comodo's fully featured EV option, there is a Comodo certificate to fit any site that needs encryption. GeoTrust® is the worlds second largest digital certificate provider. More than 100,000 customers in over 150 countries trust GeoTrust to secure online transactions and conduct business over the Internet. Our range of digital certificate and trust products enable organizations of all sizes to maximize the security of their digital transactions cost-effectively. Symantec is the trusted provider of Internet infrastructure services for the networked world. Billions of times each day, VeriSign's SSL certificates, identity, and authentication, allow companies and consumers all over the world to engage in trusted communications and commerce. Symantec Website Security Solutions has an extensive SSL certificate product offering. When choosing an SSL Certificate, consider the brand recognition, turn-around time and investment cost that is right for your business. Website Security Solutions take SSL protection and trust to a whole new level.